If you’re paving a fairly substantial area, Lafitt pavers from Belgard are consistently our most popular choice. It gives you that big tile appearance, but the 50mm reduced slab thickness makes it easier to install and keeps the price point in check. Available in a textured or smooth finish. It’s almost patio season, so we want to help you build yours this spring! 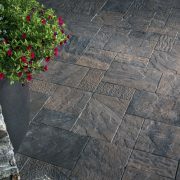 One of our most popular pavers is Mega-Libre by Belgard. It gives a natural flagstone look with a predictable pattern and depth. Two stone sizes with two different false joint patterns and numerous laying pattern options give this product a superior look compared to any other similar product in the market. If you’re building a set of stairs on a solid surface, it can feel like you’re wasting a lot of product in order to build them. Not with Oakville Stone’s natural stone step and filler option. You can get the look of the same stone from the side profile, but hollow or filled with crushed rock in the void. 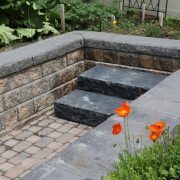 You can check out the specs of our landscape steps here in our online store. 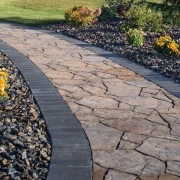 Paving stone can be one of the strongest, beautiful and most flexible pavement systems around. Instead of settling for poured concrete that can crack and shale even within the first year, paving stone is designed to withstand our freeze-that climate and provide a stunning look for decades. In addition to being strong, let’s be honest – it just looks good! The variety of finishes, colours, shapes and sizes combined with an infinite number of laying patterns provides the most aesthetic value in your landscape. 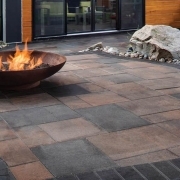 Many of the latest paver styles come in a standard 3-piece pattern that can be accented with things like soldier course borders, accent bands, area rugs, insets, and more. All of these options can be used to create visual intrigue, richness, contrast, and break up sightlines. Small, high density units resist cracking and pitting from freeze-thaw cycles and salts. Properly installed compacted base provides a solid foundation to minimize movement, but also allows pavers to flex and return to form if movement does occur. The texture of most paving stones also creates a less slippery surface during the snowy and icy season. Proper base construction for pavers takes a little work but will ensure decades of longevity. Base preparation for pavers typically involves excavating 8-12” of native soil and compacting low fines base back up to ensure a stable structure. Typical base preparation for poured concrete is nowhere near this depth or compacted to the same rate. That’s why you constantly see the base failing under concrete, causing cracking and failure. Pair that with the fact that dry-cast concrete pavers have substantially better compressive strength than poured in place concrete (broomed, stamped, or exposed), and you’ll be giving yourself the best chance for success. 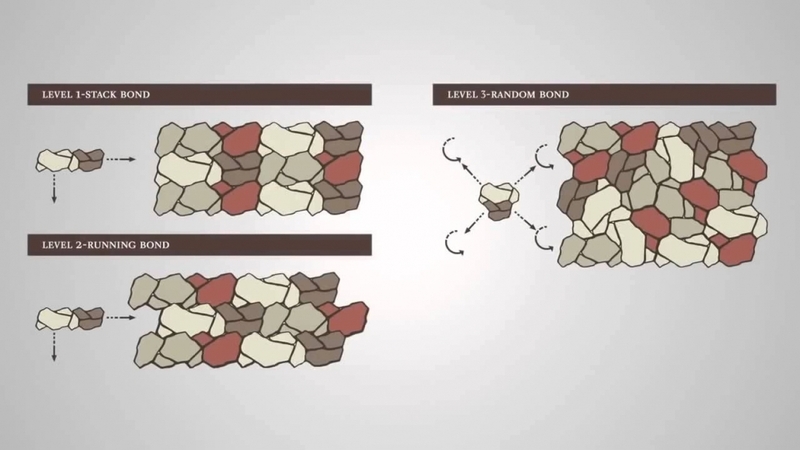 That compressive strength is one reason you won’t see pavers shale on the surface like poured concrete tends to do. Stained or broken pavers can easily be replaced without patches and last for decades. 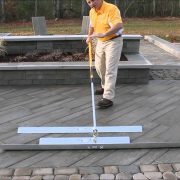 If you do experience movement, pavers are much easier to lift and re-level than poured concrete. You don’t need to saw or jackhammer it apart to re-level. One upgrade to standard concrete is to add colour and stamp out a pattern that tries to mimic the look of pavers. This colour is often just a surface face colouring, not integral throughout the concrete. So, when it starts to shale or gets chipped, the result is not pretty. With most pavers, the colour is integrally mixed throughout the stone, meaning that if one does happen to chip, the colour will remain the same. Whether you’re looking to install your own pavers or want someone to install it for you, bring us your plans so we can get started on the process. We’ll walk you through all your design options, product takeoff and requirements, pricing, and installation best practices. http://www.therustyshovel.ca/wp-content/uploads/2016/02/EXP_BEL2014_RES_Driveways_RiverRock_004.jpg 3840 5760 Sean http://www.therustyshovel.ca/wp-content/uploads/2016/02/The-Rusty-Shovel-Logo.png Sean2018-06-19 19:44:402018-06-19 19:44:40Why Choose Paving Stone? Preparing your bedding sand for paving stones is much easier when you have the proper landscape tools. Screed tools from The Rusty Shovel make things easy – featuring brands like Ox Tools and Pave Tool Innovators – from your basic aluminum screed bar, Ox Screed Bar w/ Handle and Level, or the Stand Up Quick-E Screeder Package from Pave Tool. Winter is a great time to take a look at tools that can help you on your landscape crew be more effective and turn out a better finished product on the job site. We’ll be highlighting a bunch of tools over the winter you can find with us here at The Rusty Shovel. 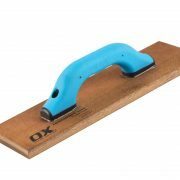 First up is the Ox Tools Wood Float. 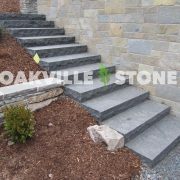 http://www.therustyshovel.ca/wp-content/uploads/2017/03/Oakville-Jet-Black-Steps-WM.jpg 3000 4000 Sean http://www.therustyshovel.ca/wp-content/uploads/2016/02/The-Rusty-Shovel-Logo.png Sean2017-03-22 00:27:252017-03-22 00:27:25Introducing Oakville Stone! 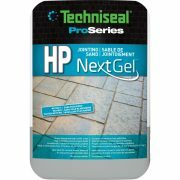 We’re very excited to announce the addition of a revolutionary new paver jointing sand to our lineup – NextGel from Techniseal! NextGel is designed differently to truly eliminate dust, hazing, waste, and long wetting times. Click here for the Technical Data Sheet/Installation Instructions.